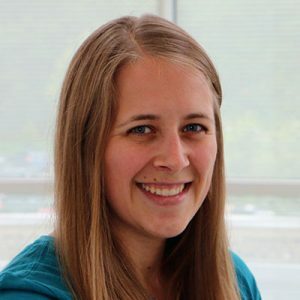 Abygail Marx, MS, CCC-SLP, is a speech-language pathologist and augmentative communication specialist in the Communication Aids and Systems Clinic, as well as the community-based Communication Development Program. She provides augmentative communication support to individuals and families with complex communication needs. Marx participated as a LEND trainee at the Waisman Center during her final year of graduate coursework. Through the LEND program she gained valuable experience working with individuals with disabilities, their families and other professionals to collaboratively serve the needs of this population.